68kΩ Carbon Film Resistors (Pack of 5). 56kΩ Carbon Film Resistors (Pack of 5). 33kΩ Carbon Film Resistors (Pack of 5). 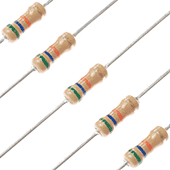 27kΩ Carbon Film Resistors (Pack of 5). 18kΩ Carbon Film Resistors (Pack of 5). 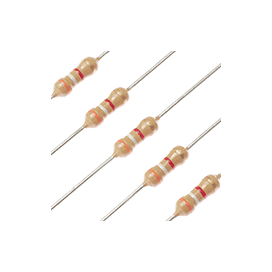 15KΩ Carbon Film Resistors (Pack of 5). 12kΩ Carbon Film Resistors (Pack of 5). 3.3kΩ Carbon Film Resistors (Pack of 5). 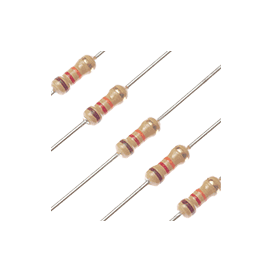 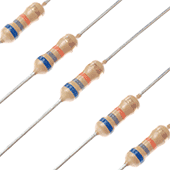 2.7kΩ Carbon Film Resistors (Pack of 5).